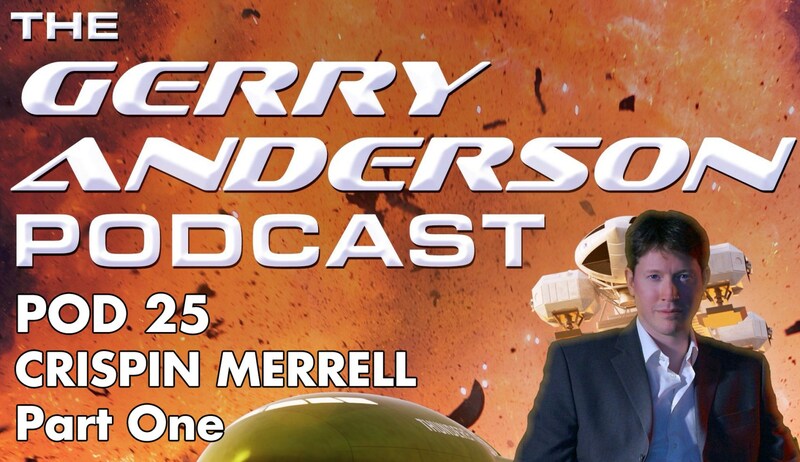 I was surprised and thrilled the other week when Jamie Anderson (son of Gerry) and Richard James, co-hosts of the brilliant Gerry Anderson Podcast read out my email about Identicode in Pod 25. I didn’t know if it might be considered an inappropriate ‘plug’ given that it’s a third-party product (as in, not available at the Gerry Anderson shop) but they were brilliant and very encouraging. 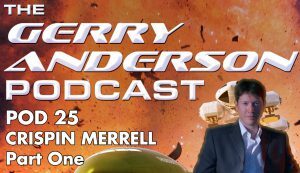 If you haven’t been listening to the Gerry Anderson Podcast then where have you been hiding? You only have 25 episodes to catch up on so the sooner you start the sooner you’ll catch up! It’s informative, nostalgic, up-to-the-minute, fun and downright weird at times, and that’s before even mentioning the varied and fascinating interviews and Chris Dale’s ‘Randomiser’! Thanks to my lovely and talented partner I now have a revamped and redecorated web site. I’ve had the previous design for about 5 years I think so it’s great to give it a facelift. It is a flexible layout that adjusts gracefully from the screen of an iPod touch to a Macintosh. It also has some nice high resolution images for my two just updated apps, Bargain and Identicode and the others will be enhanced when I update my other two. Another thing that’s been updated is the photo of me which was somewhat overdue! If you’ve downloaded Identicode already, or are thinking of buying it (go ahead, I’ll wait ), then you’re probably a Gerry Anderson fan, as am I. After all, it was my love of the TV Century 21 comic back in the 1960s that inspired me to write the app when I got hold of some old copies, spotted the codes at the bottom of the pages and realised I had no way of decoding them. I recently bought a rather excellent Thunderbird 2 hoodie from the Gerry Anderson web site, though sadly it’s been so ridiculously hot since I bought it that I’ve just tried it on once and then popped it in a drawer! Because of my order, I was alerted to their new podcast which is just great. It’s hosted by Jamie Anderson (Gerry’s youngest son) and Richard James (actor and enthusiast for all things Anderson) who have a gleeful repartee which makes for a wonderful listen. There is general banter, Gerry Anderson news, some great interviews and the chuckle-inducing Randomiser operated by Chris Dale. It’s made my journey to work a whole lot more fun and I’d encourage you to subscribe. Free fun – what’s not to like? Two years after the last Bargain update, and one after that for Identicode, they have been tweaked, enhanced, freshly polished and ready for you to download. You can see what’s changed on my website, in the Release Notes or on Apple’s App Store. Note that both now require at least an iPhone 4S, rather than an iPhone 4 as previously. Apologies for the delay, but I’ve started a new day job and it’s five days a week! That means less time available for apps, but have no fear – I plan to keep my apps available for the latest devices for as long as seems feasible. Because I haven’t updated some apps for at least a year they may not play well with iPhone X – certainly, Pink Plaques does not look good on Apple’s latest device. The good news though is that I’ve just submitted both an updated Bargain and Identicode which work nicely on Apple’s latest – I’ll let you know when they’ve been approved for sale. To get Pink Plaques ready to look its best on anything from iPod touch to iPhone X will need some significant changes, but I’m on the case. After that, comes Dicewords. There will be some other changes to Pink Plaques which I’ll detail nearer the time. After that (whew!) it’s my first app for Macintosh – quite simple but hopefully very handy for those it’s aimed at. V1.4 has a bug whereby the “Use iOS dictionary” setting in Preferences is not honoured by the app. This has now been fixed in V1.5 and it should be available very soon. 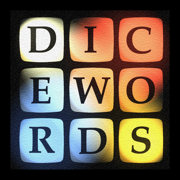 Dicewords and Dicewords-X have been sent to Apple for review. There are two main changes – the new Demo screen is now available for VoiceOver users and a crash due to tapping the Declare button immediately after the Demo ended has been fixed. Both apps should be fine with iOS 11, but if not I’ll post an update to address any issues.